To those who may be uneducated about the physical, mental, and financial challenges horse and rider often conquer to be successful; there is much to be learned. Click here to learn about many of these challenges and triumphs, and to find out more about what horse showing entails. Hectic horse show days call for good organization and skilled professionals who know just how to manage the busy atmosphere. 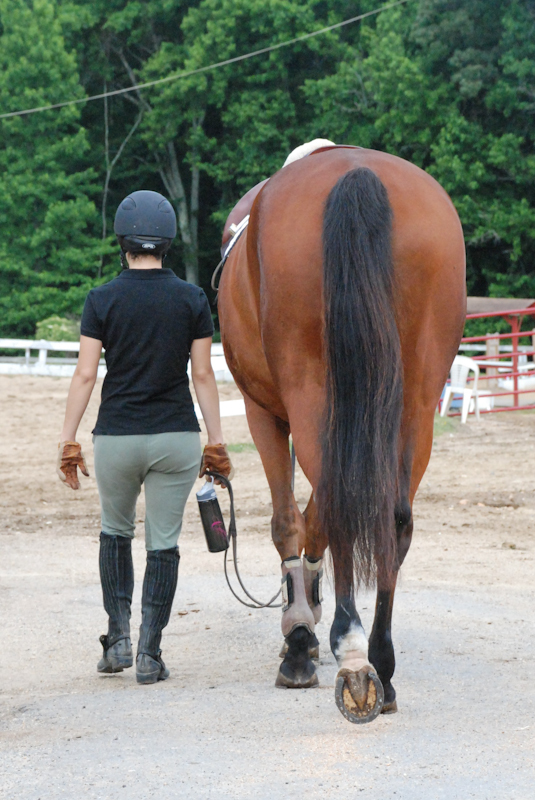 Young professional and show groom Mary Patrick, 20, knows all about what it takes to make each and every show a success. Click here to learn more. Just like human athletes, the best preparation for competition sometimes involves diligent work outside the typical skill set. 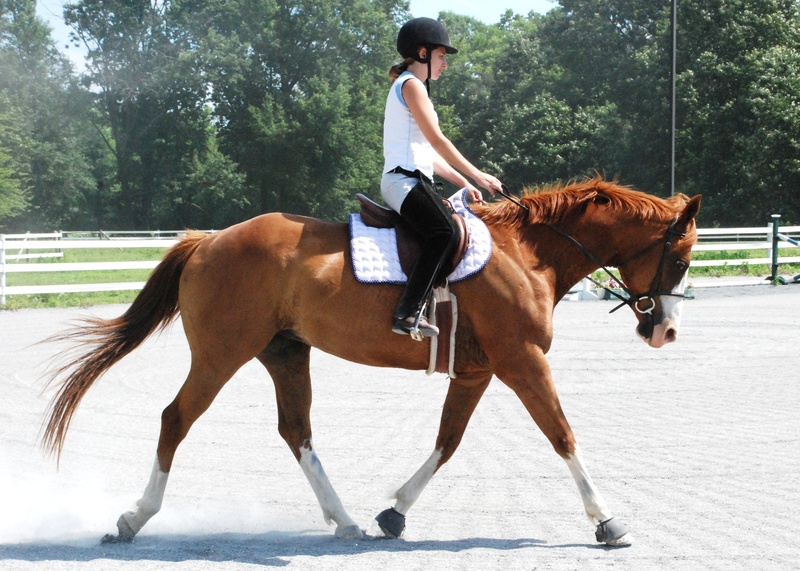 Click here to learn why a Maryland dressage rider changed up the routine for one special horse while trying to re-shape her history last summer. Still wondering about horse showing? Visit the frequently asked questions page to answer lingering questions you might have about horse showing. Having ridden for many years, Michaline West, 22, finally got every little girls dream at the start of 2009; her own horse. Only a few months later, she was dealing with the pain of losing that first horse and the joy of purchasing a new horse, only to have him injured in the same way that her first horse, Valentino, was injured. After months spent rehabbing Eli, “Pursuit of Happiness,” West is finally enjoying sweet success. Click here to listen to Michaline’s story. 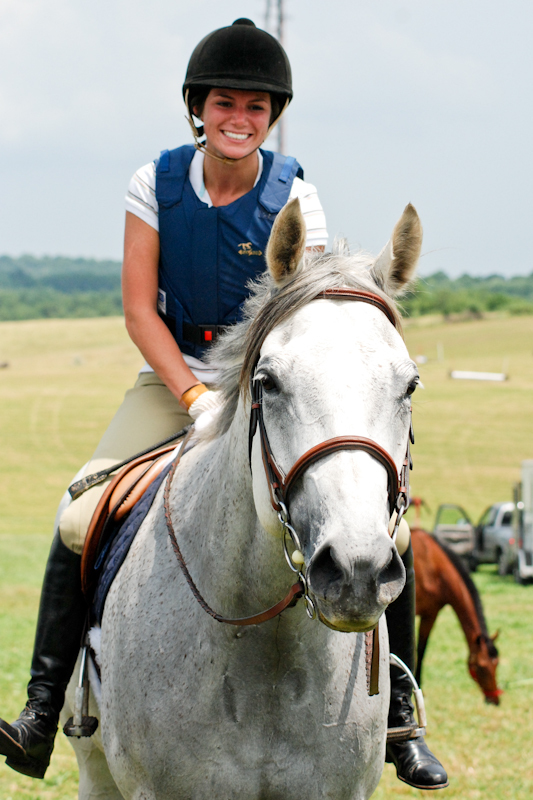 Shannon Christ, hunt seat trainer, trains her horse Cleo on a warm summer morning. Owning a horse is one thing; finding the funds to compete is another. 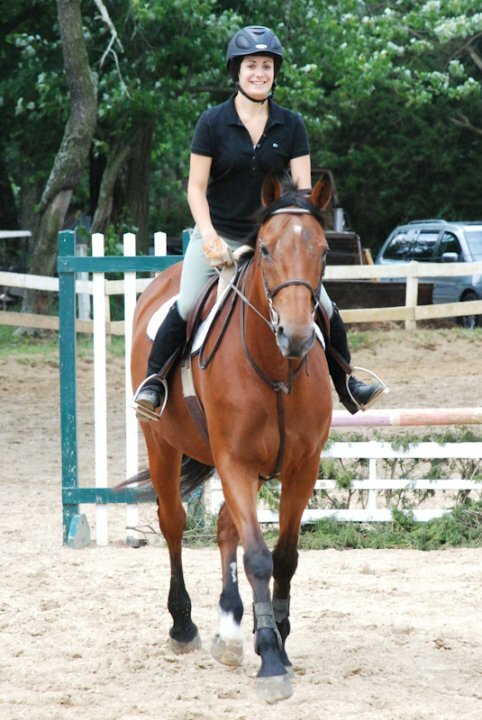 However, with extra time at the barn and smart planning, horse showing can be affordable. Listen here to learn more. Many college students use the lack of school structure during summer vacation to step away from their obligations and partake in other activities. 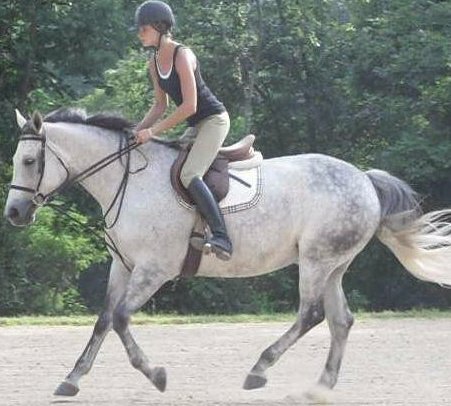 Randolph College senior Eileen Buckingham, however, is working with a horse owned by the college to ensure both she and the horse are in tip-top shape for competition in the fall. Click here to read more.